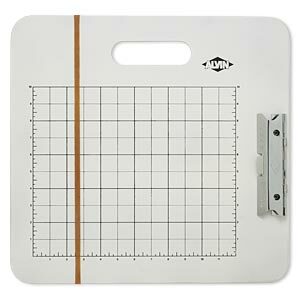 Cord knotter, The Little Knotty do-it-all, wood / steel / stainless steel, multicolored. 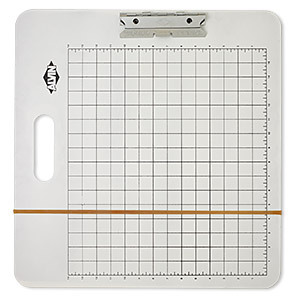 Sold per 25-piece set. 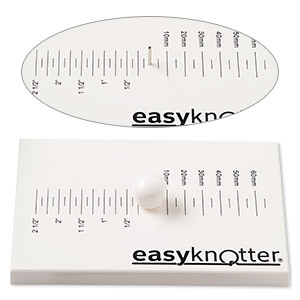 Cord knotter, easyknotter®, plastic and steel, white and black, 6 x 4 x 1/2 inch flat rectangle with 1/4 inch markings and 1/2 inch pin, includes protective knob for pin and instructions. Sold individually. 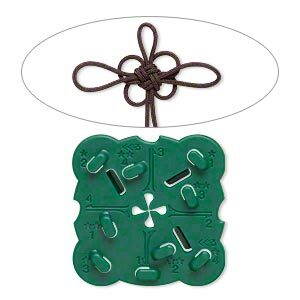 Knot template, Clover, resin, green, 2-3/4 x 2-3/4 inch, flower knot. Sold individually.